Now that I have that out of my system, I don't really know what else to say about this. Really? 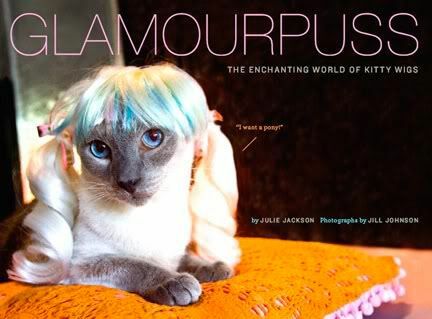 Why would anyone think it's a great idea to put wigs on cats? If you want to know more about why cats apparently love/need these and check out the book, then you can follow the link. Yes, I said "the book." *I'm* not going to link to it and encourage it. Did I mention how wrong this is? Hmph. I'm with you, Jessi. What is it with people wanting to dress up their animals? The animals don't understand!